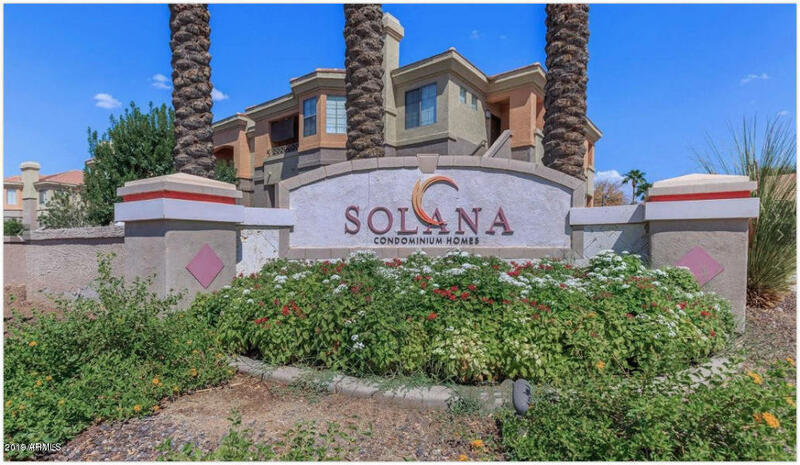 All SOLANA CONDOMINIUM HOMES homes currently listed for sale in Mesa as of 04/23/2019 are shown below. You can change the search criteria at any time by pressing the 'Change Search' button below. "Back on Market-Award winning extreme makeover - Like New! 2master split-Exec style, walk to Banner Gateway & Banner MD Anderson Cancer Center- w/view of a Solana community park-Lovely Plantation shutters & home painted in todays color-nicely styled fans, upgraded Interior-9 ft Ceilings w/ Crown Molding throughout, new carpet & tile flooring covered patio -new Gray/stainless appliances, include beautiful matching W&D. 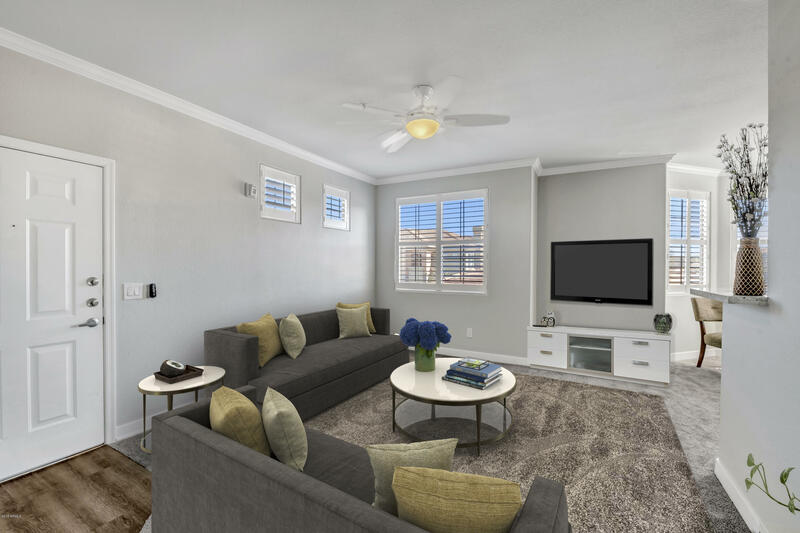 Luxurious Solana a pet friendly, community offers resort style amenities; Htd P"
"Luxury condo community in very popular location! Solano is a gated community with two pools, a fitness center, clubhouse, cabanas, large grassy parks, two different tot lots, volleyball court, walking trails and more. Located just 1 mile south of the US60 freeway you are also close to popular Dana Pointe lot s of shopping and restaurants. Also close to the Banner Gateway Hospital. This home is in great condition Master walk in closet! Could be an easy rental for someone as renter would like"